Washington ― While ballistic and homeland missile defense have grabbed the headlines in recent months due to the growing threat from North Korea, leaders from the Missile Defense Agency outlined Feb. 12 how the Department of Defense is preparing for future threats that could challenges the current ballistic missile defense system. If confirmed, it would mark the second unsuccessful test of the Raytheon missile. It also deals a setback to U.S. missile defense efforts as North Korea makes seemingly daily progress on it goal of striking the U.S. mainland with nuclear-armed missiles. To respond to this demand MDA is requesting $120 million in fiscal 2019 for hypersonic missile defense. While this is a small segment of MDA’s $9.9 billion budget, it is a significant increase in the agency’s funding for this area. For fiscal 2018, Congress authorized $75.3 million for MDA to initiate the development of a capability to counter hypersonic boost-glide vehicles and conventional prompt strike assets, as required by the FY17 National Defense Authorization Act Sec. 1687. The budget request calls for spending $157 million in fiscal 2020, $142 million in 2021, $117 million in 2022 and $119 million in 2023. In all, the agency asks for $732 million through 2023. To date only the United States and China are known to have tested hypersonic weapons, which are defined as weapons that travel at least five times the speed of sound. China’s DF-ZF, or WU-14, is believed to have been tested at least seven times since Jan. 2014. However, it is difficult to determine if these tests were successful. According to testimony from James Acton, senior fellow in the nuclear policy program at the Carnegie Endowment for International Peace, even if the United States was able to track the launch of a hypersonic vehicle with infra-red sensors and early warning launch satellites, there may not be enough information to confidently determine if the test was a success or failure. “[I]magine that China, unbeknownst to the United States, sought to land a glider within, say, 50 m of a target. If it actually missed by 10 km... China might consider such a test to be a failure or least only a partial success. However, the United States... might incorrectly conclude the test was successful because the glider had flown over the entire planned range,” Acton testified. Without knowing the specific goals of each test, it is extremely difficult to confidently label a test a success or failure. If MDA, as Pennett suggests, works to field a persistent, layered space sensor network, tracking such tests in the future may become easier, and provide more insight into the Chinese hypersonics program. 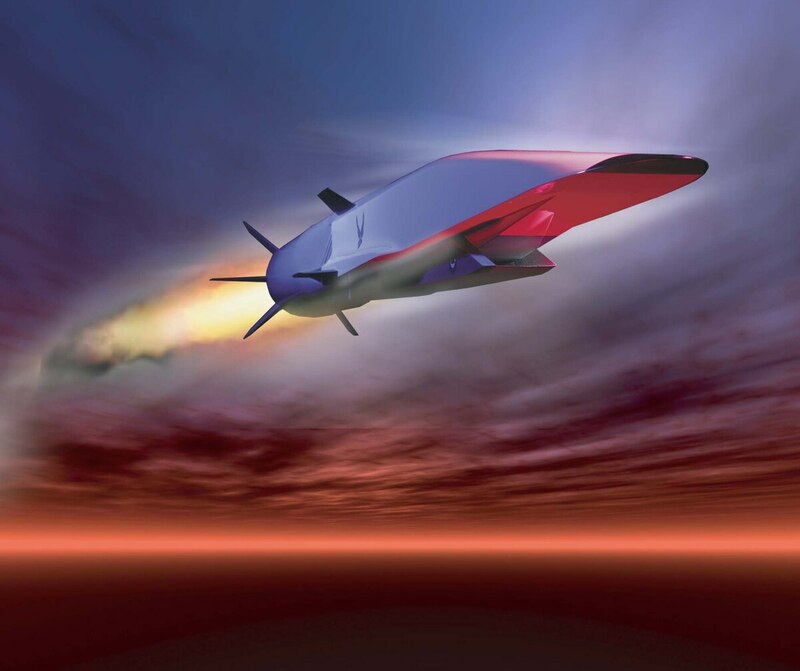 Boeing’s experimental hypersonic weapon, the X-51 Waverider, has performed at least four test flights since May 2010. The Waverider set the record for longest hypersonic flight on May 1, 2013, flying for three and a half minutes at its top speed of Mach 5.1.